Halewood is a town which is situated in the southern parts of the borough in close proximity to the city of Liverpool. It has a population of slightly over 20.000 people and is the location of St. Nicholas’ Church which is one of Knowsley’s most popular religious edifices. During the early 21st century, the town was the subject of a major regeneration project which enhanced the quality of life within Halewood, L26. 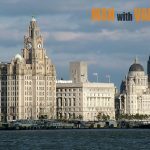 The area is currently the site of one of Jaguar Land Rover’s production facilities and is heavily associated with the professional football club of Everton, as the club’s new training grounds and youth academy are based in Halewood. The town is served by its own railway station which was opened during the late 1980s and currently provides transportation services to over 100.000 people on a yearly basis. The village of Tarbock, L36, is one of the least populous areas in the Borough of Knowsley. 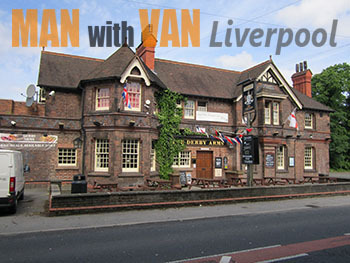 It has a population of about 2.400 people and is situated at exactly six miles from Liverpool. The village is home to two listed buildings: Rose Cottage which is believed to have been built during the 17th century and the Tarbock Hall Farmhouse which dates back to the 18th century. The area of Tarbock is served by a number of bus routes while the nearest rail links are situated in neighbouring districts and towns. Rory is a village which lies in the western parts of Knowsley. It has an estimate population of 7.200 people and is one of the least densely populated areas within the borough. The village is home to several listed structures including Thingwall Hall which is beyond any doubt the area’s most popular landmark. The mansion dates back to the early 19th century and spreads over an area of 60 acres (parkland included). 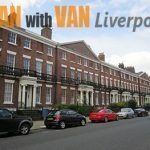 Throughout the years it has been the residence of numerous important people most notably Thomas Case (former Mayor of Liverpool) and Thomas Crowther. Rory, L16, is also the location of Knowsley Community College which is one of the best public educational facilities in the borough. The college was established in 1990 and currently provides further education to numerous students from the ages of 16 and above. The village of Whiston is one of Knowsley’s most popular areas. 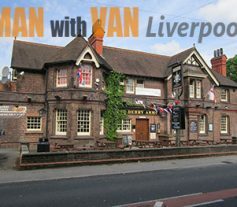 It has a population of about 15.000 and is known throughout Britain for being the location of Whiston Hospital. The healthcare facility was founded in 1843 and since has become one of the largest hospital in the United Kingdom with a capacity of 956 beds. 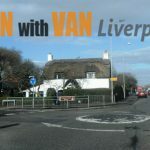 The village is also home to several prolific and highly acclaimed primary and secondary schools such as St. Edmund Arrowsmith High School, Whiston Willis Primary School, Knowsley Higher Side Comprehensive School and more. The area is served by its own railway station which provides transportation services to over 300.000 passengers annually.